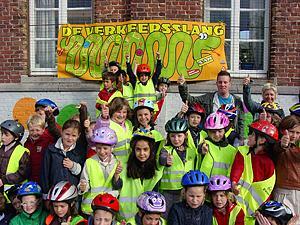 The original campaign is being played since 2003 in the Flanders region in Belgium. It’s invented and organised by Mobiel 21. Each year more than 1000 primary schools participate. Mobiel 21 encourages schools to think about new mobility initiatives and offers them free guidance where necessary. This project is supported by Bank and insurance company KBC .